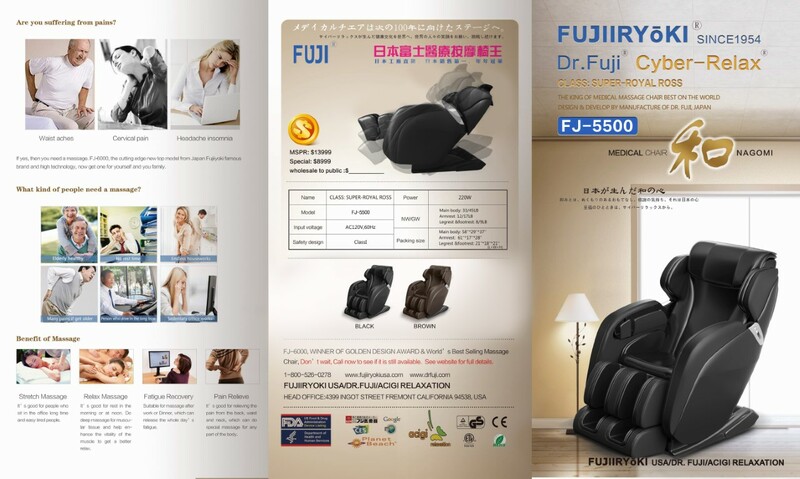 Fujiiryoki Medical Massage Chair is a Japanese health equipment company that helps businesses and individual worker obtain one of the greatest gifts of all that is of good health. Personal gains, such as improved self-esteem and self-motivation, combined with measurable benefits will create tremendous advantages for both the employer and the employee. 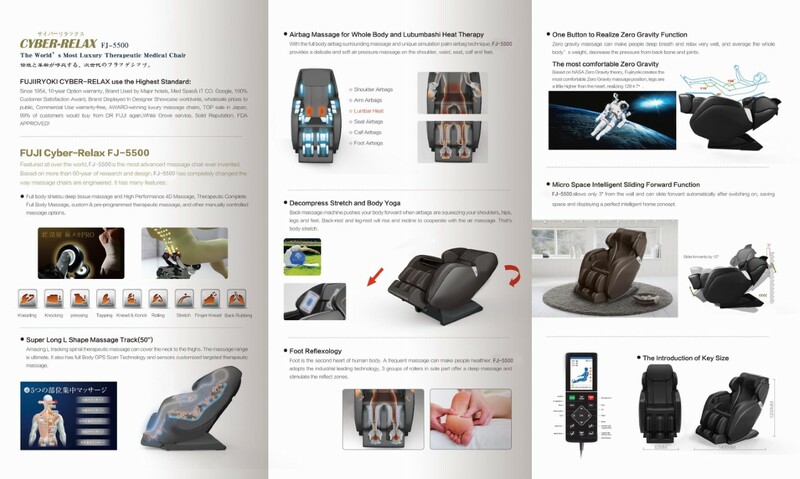 When searching for a massage chair, people look towards the Japanese brands for they offer a better-quality massage chair than non-Japanese brands. Established in Japan, our company has built up the massage chair foundation starting from 1954. 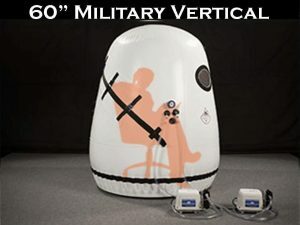 That’s sixty years of experience in the art of combining therapeutic massage with technology. With each massage chair, you can often expect an ingenious new feature, such as our latest model Cyber-Relax EC-3800 that features the new Kiwami Mecha 4D massage system. 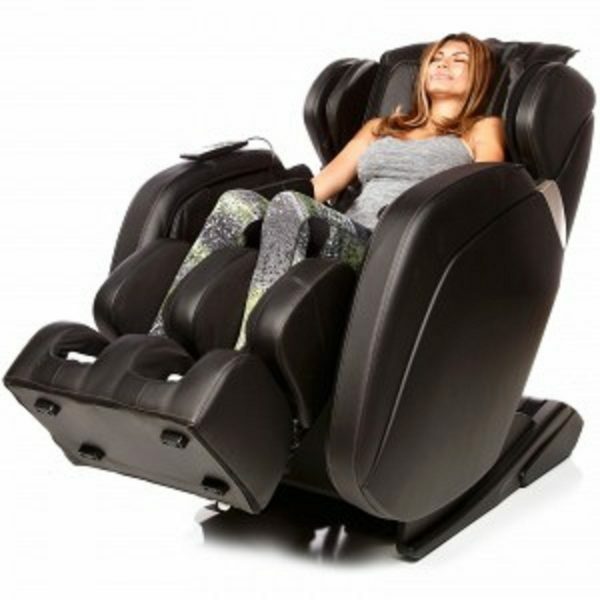 Our massage chairs are light weight, designed to consume as little power as possible. 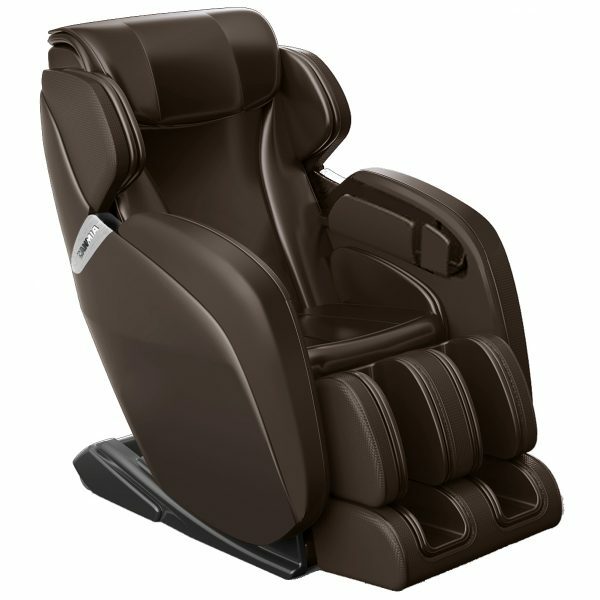 Carefully crafted with PU massage chair material, our chairs give you maximum comfort as the back rest hugs your body. With an endless amount of massage customization underneath the touch of your fingertips, we guarantee that our systems will produce the best massage experience, loosening your muscles and relieving that daily stress.